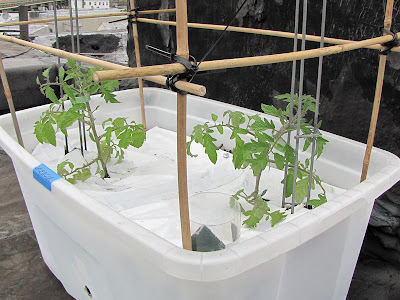 2 Valencia tomatoes in the 26 gallon DIY self watering container. 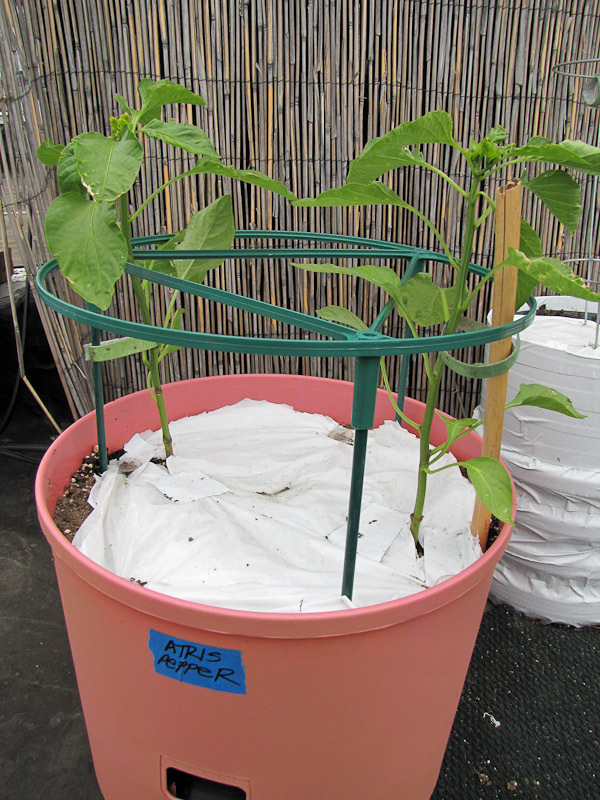 2 Atris peppers in the Southern Patio Jumbo Growing Tower. 2 Fairy Tale eggplants in 2 DIY self watering planter conversions. 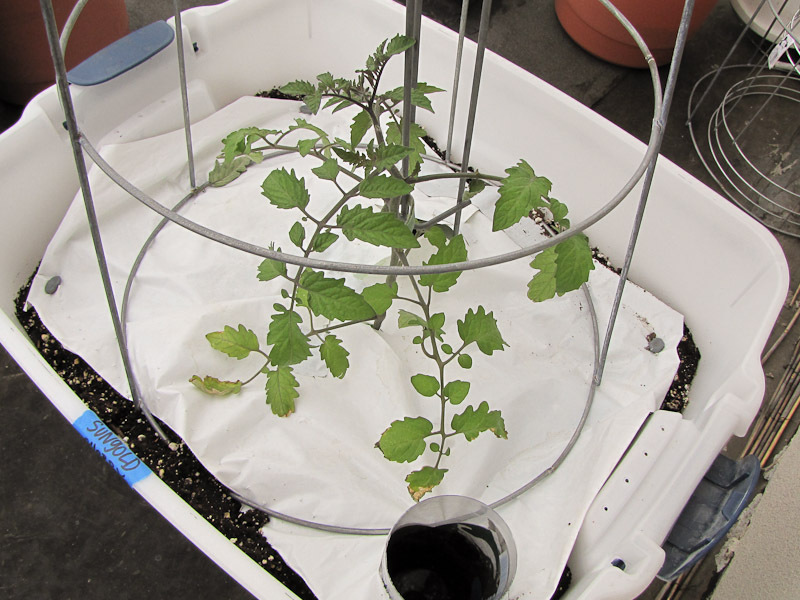 1 Sungold Cherry tomato in the 20 gallon DIY self watering container. 2 Yellow Perfection tomatoes in 2 Garden Patch GrowBoxes. The smaller seedlings will be planted in a few days. They look great! 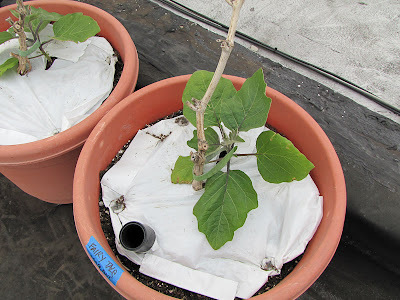 I planted both the Fairytale and Sungold you gave me into the garden and both are doing well, however, the bugs are really liking the eggplant's leaves. I'll have to spray it with organic pesticide. I hope they stay away! Ohh, I hope your eggplant survives the bugs. The fruits from the plant are supposed to be gorgeous. ohhhh! 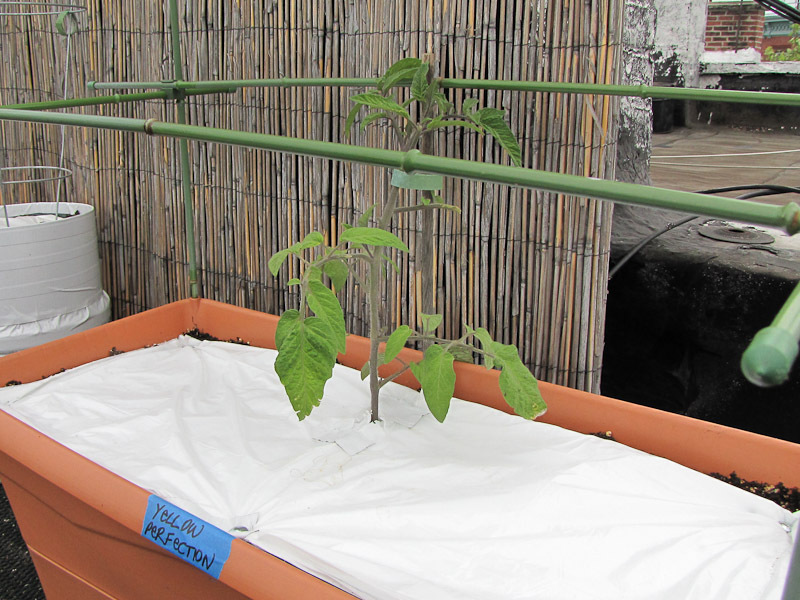 So exciting to see the plants on the roof!